This wine comes from a skilful blend of Barbera and Syrah grapes, from the company’s youngest vineyards. The grapes are very fresh and fruity, bringing out the full potential and versatility of the Monferrato terroir. Intense red colour with crimson-purple highlights; very pronounced notes of red fruits, sour cherry, and nutmeg, light but not intrusive acidity. 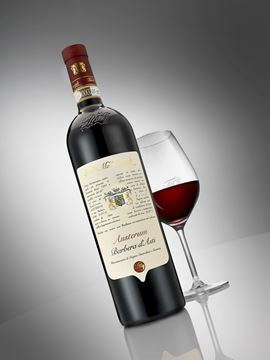 Barbera is the classic, historical vine of the Monferrato area, and is mentioned in a seventeenth-century document now preserved in the town hall of Nizza Monferrato. A variety known for its eloquence and power, and for its high degree of freshness and longevity. Austerum is a graceful, generous Barbera, classic and sincere. 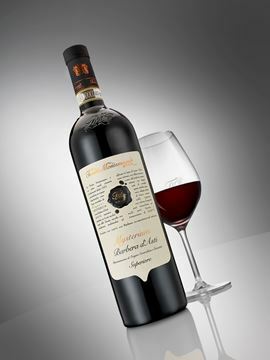 With a deep red colour and a heady aroma accompanied by elegant notes of cherry, raspberry, currants and wild berries, it is soft and velvety on the palate, with hints of fruit preserve and berries, and a delicate spicy note.